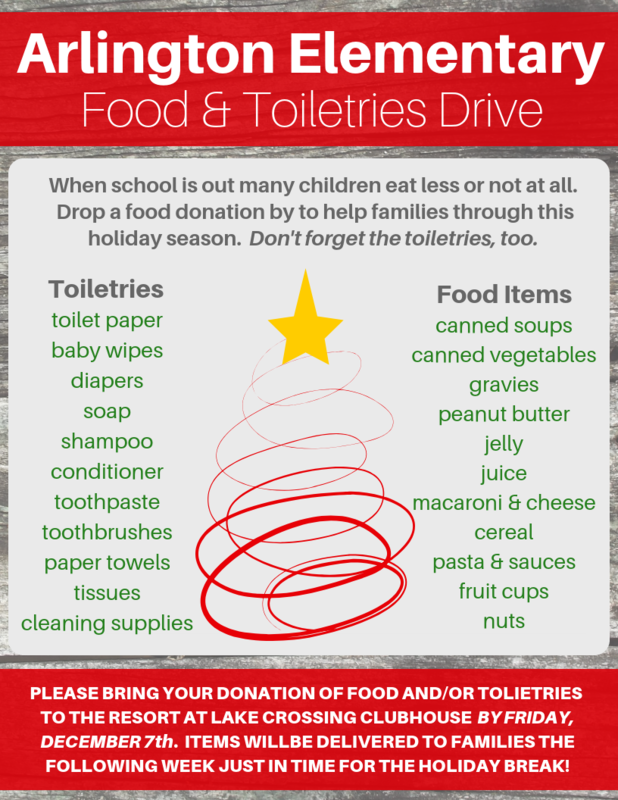 & toiletries will be accepted through Friday, December 7th at The Resort at Lake Crossing Clubhouse. Let us help one another this holiday season! If you have questions, please contact the GLAA Office at 859-278-6540.